The perfect time for students to start writing college essays is NOW! It may sound like a broken record, but encouraging students to start early will give them time to reflect on their essays and time for revisions (which there will be many). 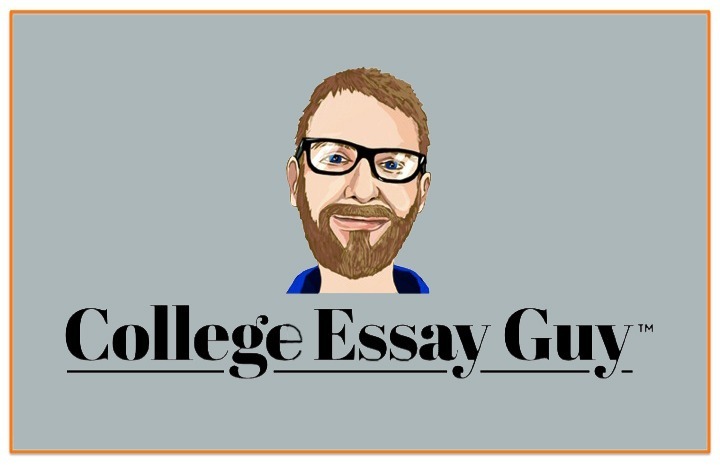 We asked Ethan Sawyer, the College Essay Guy, to share his approach to helping students find their best story and tell it well. Ethan applies the techniques and strategies of screenwriting to writing college essays. Below is a summary of his very thorough video – Using the Secrets of Screenwriting to Write Your College Essay. In addition to reading Ethan’s comments below, view his video to get an even more thorough understanding of how to approach college essay writing from an expert’s perspective. What Do Screenwriting and College Essays Have In Common? Status Quo: The initial state of affairs. Inciting Incident: [Something] happens to launch the story. Raising the Stakes: All the story events (twists and turns) that build suspense. Moment of Truth: The main character must make a choice. Outcome (aka New Status Quo): Things are different from when they began. Video (see 26:21): I explain the five elements of storytelling. Toy Story (see 29:25): An example of how this popular movie uses these elements. Finding Nemo (see 32:25): Another example. Once you understand the basics, the next step is figuring out how to tailor these storytelling elements to fit your story. Describe the world you come from… and tell us how your world has shaped your dreams and aspirations. 1. Do you know what you want to be when you grow up? 2. Have you experienced hardship in your life? While these aren’t precisely related to screenwriting, your answers are important keys to finding a potential path for your essay. Which of these types of essays resonates with you? Notice I didn’t say “types of students”–they’re actually types of essays. Why? Because any student can write any of the four types, or can change from one type to the other during the process. Which of these sounds like you? Article: Click here for a more in-depth look at the different types. Video: Or click here to watch (see 4:46) as I explain this in one of my webinars. Once you’ve figured out what kind of essay you might like to write, it’s time to look at structure. If you feel Type A or C might work well, Narrative structure can help you tell your story. Video (see 36m18s): Check out this primer on understanding what narrative structure is all about. Example A Essay: Read an analysis with tips on writing a type A essay. Example C Essay: Read an analysis with tips on writing a type C essay. If you are a Type B or D students, Montage structure is a useful tool for approaching your essay. Video (see 45m11s): Get a quick summary on what montage structure can do. Example B essay: Read an analysis on “Machines” with tips on writing a type B essay. Try this exercise. Then this one. Here’s a whole page of stuff. Oh, and who am I? I’m Ethan Sawyer, the College Essay Guy. Good to meet you. Ethan is the author of a best selling book on Amazon on how to write college essays. Ethan, the College Essay Guy, has been helping students tell their stories for the past 10 years. He is a graduate of Northwestern University and received an M.F.A. from UC Irvine and two counseling certifications, one from UC Irvine and one from the Interchange Counseling Institute.